"Children's play is not frivolous, and the importance of playful learning for children cannot be overemphasized." That's according to the American Academy of Pediatrics (AAP). The American Academy of Pediatrics has released a clinical report that says if you want creative, curious, healthier children with 21st-century skills, then let them play. The report says children also need play to help "buffer toxic stress, build parental relationships and improve executive functioning." "The AAP’s new report should remind parents and school officials what they already knew in their hearts — that children need time, space, and permission for unstructured play," says Dr. Robert Jacobson, a Mayo Clinic pediatrician. "Parents need not feel guilty for failing to schedule their children’s recreation. Indeed, parents should instead plan for, and leave time every day for, this unstructured, free form recreation," says Dr. Jacobson. Dr. Anglea Mattke, also a Mayo Clinic pediatrician, agrees. “Playing is learning," says Dr. Mattke. "There are pressures both external and internal that children need to be sitting in a preschool classroom working on worksheets or they will fall behind." Dr. Mattke says that from an early age the best ways children learn is through playing, exploring, using their imaginations, and working through social situations that come up with other children in these play settings. "Unstructured play allows them to develop the process of learning rather than just focusing on content," she says. To make this happen, though, Dr. Jacobson says the electronic screens have to be turned off and unavailable. "Creating time, space and permission for play in the modern world requires a form of parental supervision that may not come naturally for a working parent," adds Dr. Jacobson. The report points to research that found that only about half of kids get some daily playtime outside with a parent, in part because of parents working and digital distractions. 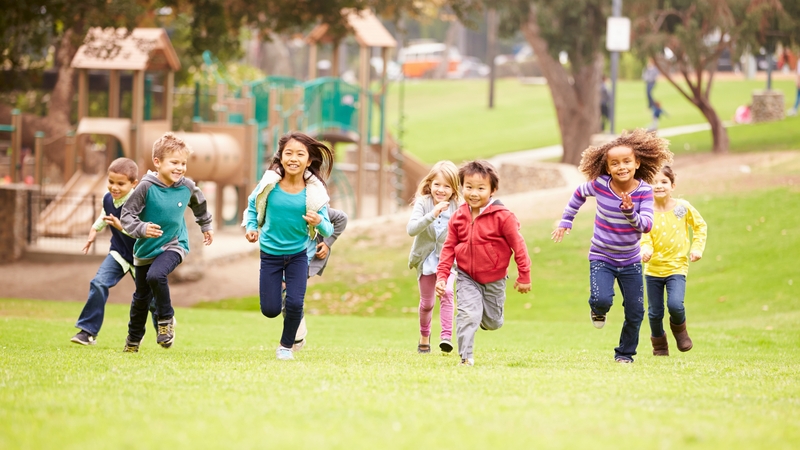 "We're recommending that health care providers write a prescription for play because it's so important," says Dr. Michael Yogman, lead author of the American Academy of Pediatrics report. "The Power of Play: A Pediatric Role in Enhancing Development in Young Children" is online and will be published in the September edition of Pediatrics.